Very enjoyable film, but "The Golden Voyage of Sinbad" is even better. In that film the attractive heroine (Caroline Munroe) does not spend most of the film in a protective cage because she is only about six inches tall. The big disappointment is "Sinbad And The Eye of the Tiger." All recent Sinbad flicks have been mediocre. Perhaps it is time for a really good new one to be made. This one had some standout Harryhausen monsters, The Cyclops and the dragon. Matthews starred in The Three Worlds of Gulliver too. Since I am a stop-motion animator myself I'm gonna be a stickler here and remark that "claymation" is but a common misconception of Harryhausen's art. Stop-motion, or dimensional animation, involves using rubber puppets with metal skeletons, not clay. Having griped about that I'll get back to our main subject, namely that this film is one of those cinematic examples of catching lightning in a bottle. 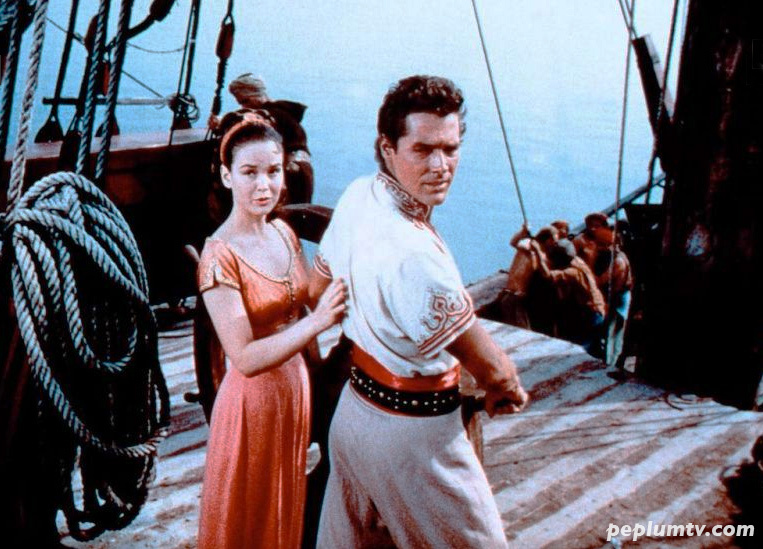 "7th Voyage of Sinbad" has that magic that's so hard to define. I think it's one of the perfect fantasy films.